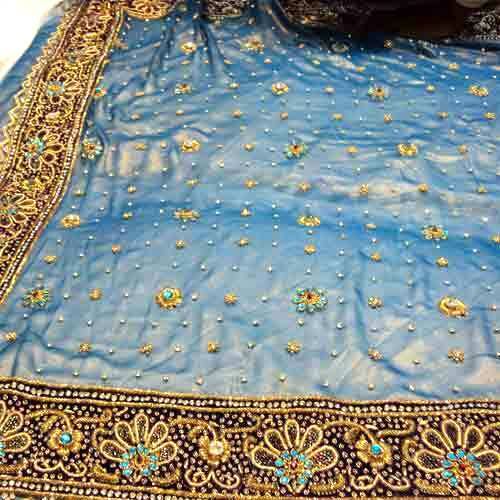 We are known for providing the very famous Zardozi Garments which are embellished with the captivating zardozi work. Our collection of Zardozi Garments includes bridal wear, lehenga chunni, ladies salwar suits and gowns. Our team of skilled workforce is engaged in providing the most sensational designs so as to make these Zardozi Garments way different from others. Further, we provide Zardozi Garments in different designs, colors and patterns.